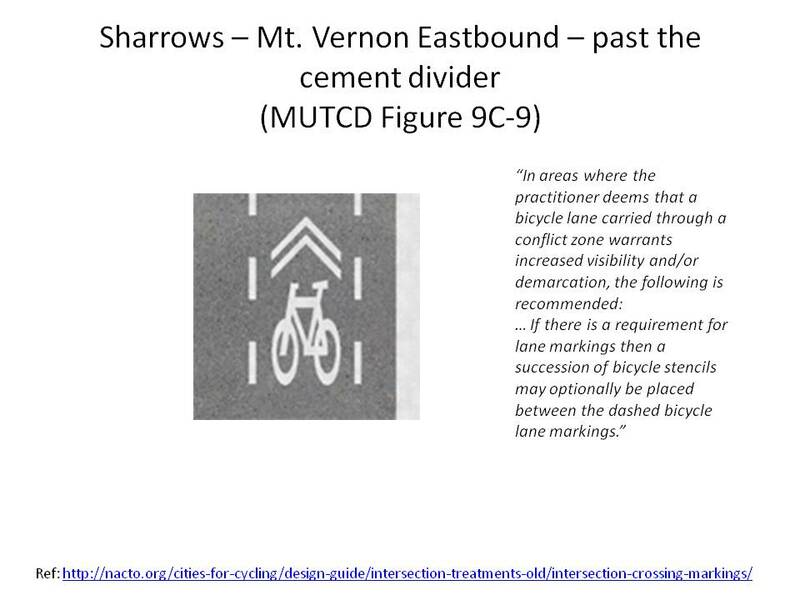 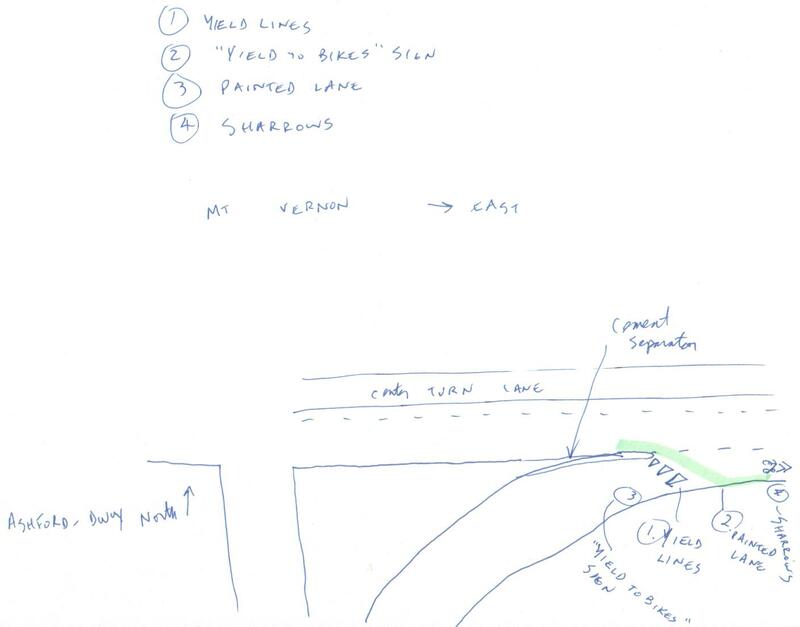 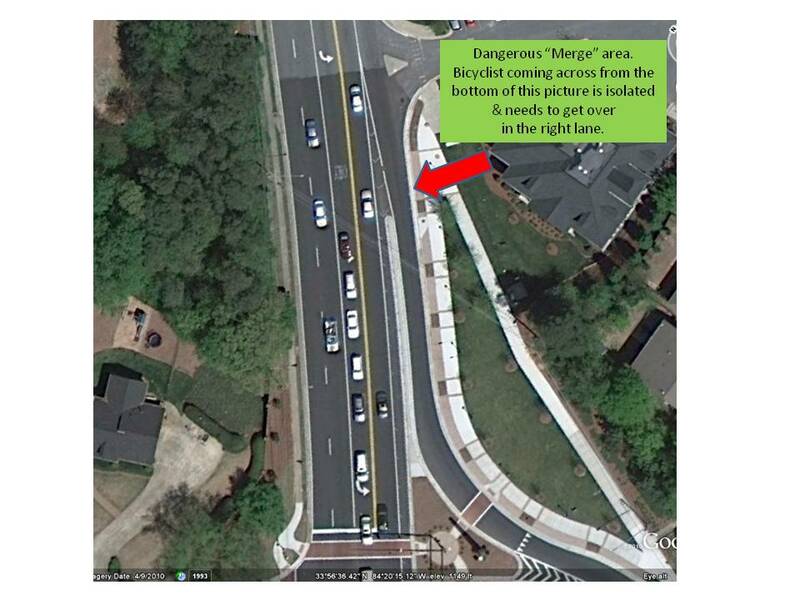 In Dunwoody's Master Transportation Plan, the entire length of Mount Vernon is planned to have bike lanes. 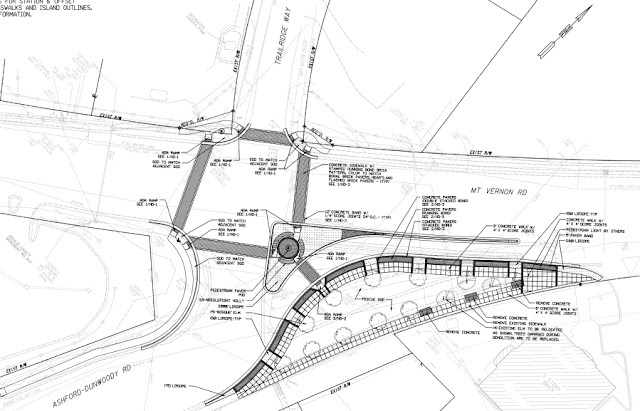 These will be built as the city resurfaces each segment. 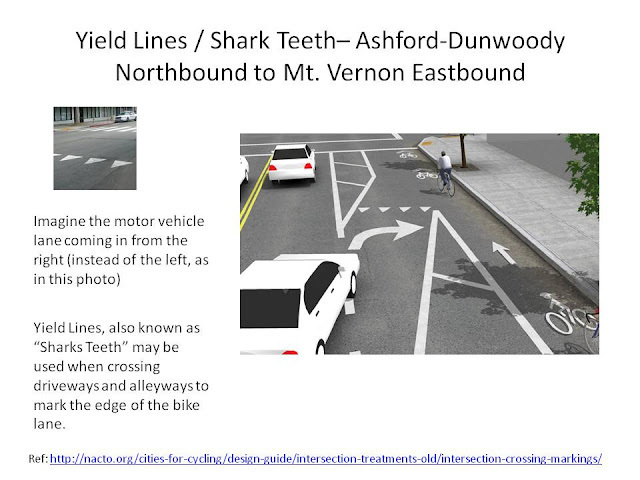 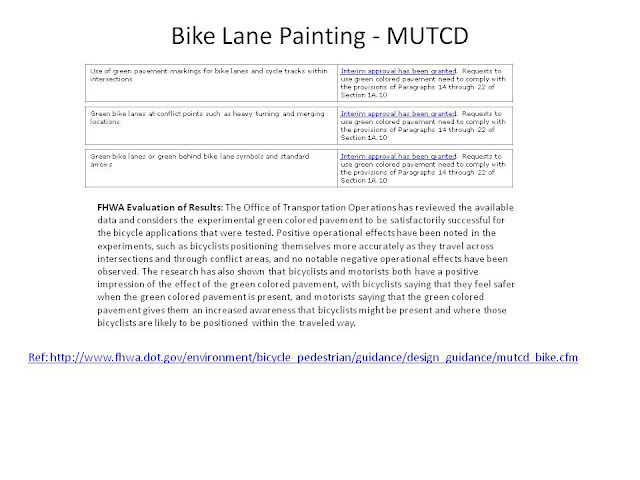 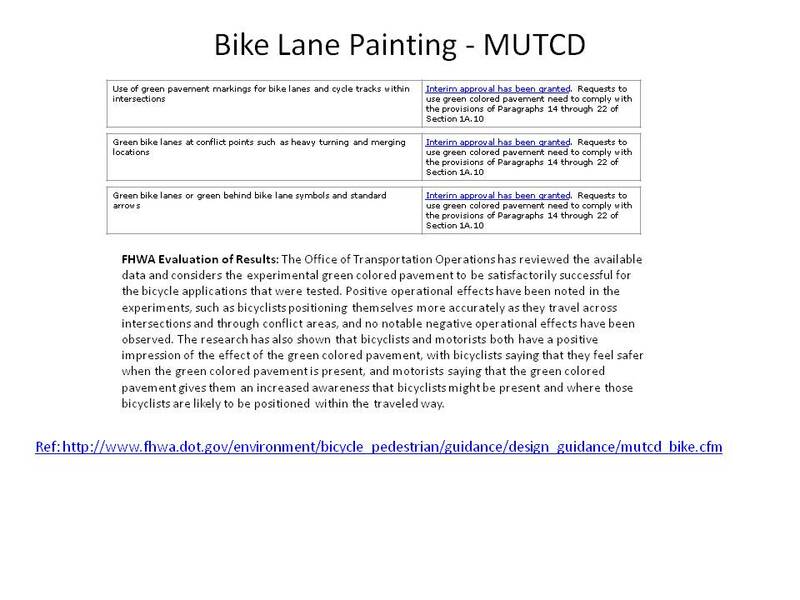 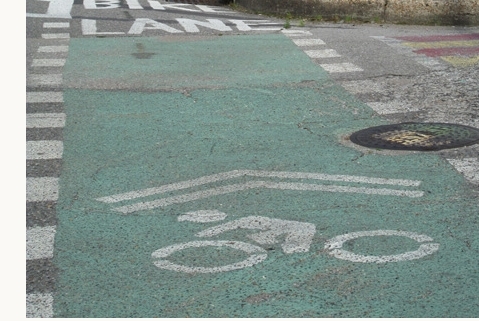 In 2012, the city installed bike lanes on Mt. 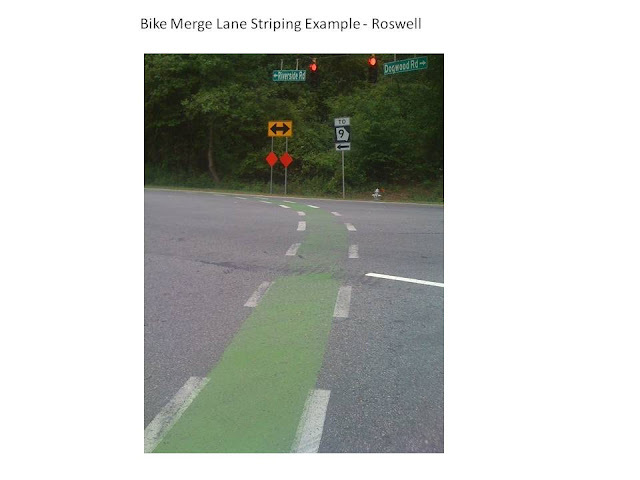 Vernon west from this intersection to the Sandy Springs city border. 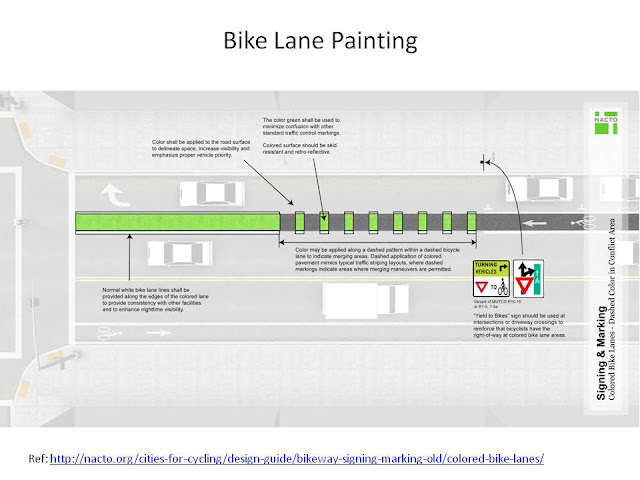 East of the intersection there presently are NO bike lanes or painted bicycle facilities. 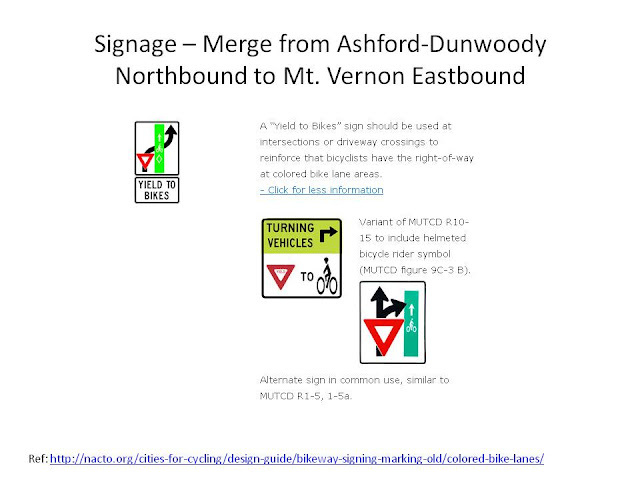 Riding eastbound (bottom to top as pictured above), it's very dangerous for a bicyclist to merge past this intersection, to get onto the right-lane past the cement lane divider. 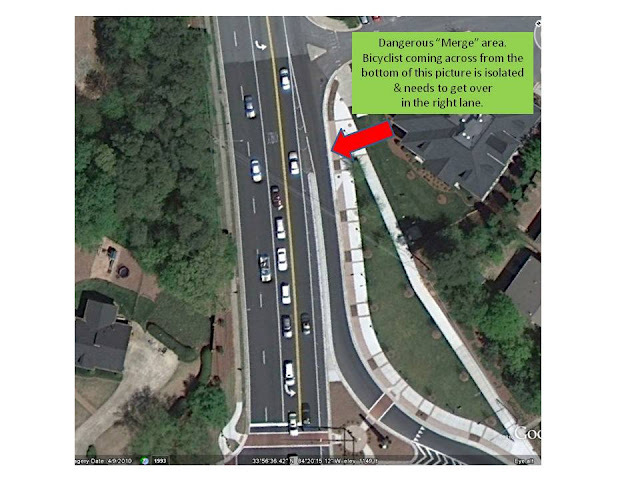 I'm adding some very inexpensive suggestions to improve safety for this intersection. If you have others, please post in the comments & I'll forward them on to our city's Public Works Department. Copyright: 1st grade Art Class Doodler, Inc.